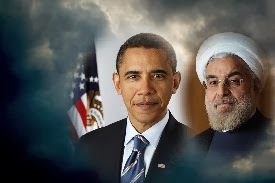 It was puzzling and not any less amusing - the recent news about the possible fortuitous bumping between the Iranian President Rouhani and President Obama, which as we learnt, eventually never did take place. Now what kind of a person would think that these two would bump into each other rather than have a controlled, preplanned, coordinated, and deliberate encounter. Yet the media was abuzz with talk of serendipity. Why would such a hype even circulate! Why would people swallow such nonsense without thought and why would they – the reporters, as well as the masses expect the President to leave things to serendipity? That’s not how you negotiate at home with your kids and expect it to be successful. Then how can you think of the heads of countries doing that? Negotiation is a tricky game whose rules change with the situation. There are times when one must act swiftly, and others when it makes more sense to wait and watch. And yet at all times one must know which way to act. For example, most would concede that swift action on Iraq was a bad idea. On the other hand slow action on Syria seems like a great one. The reason is that it calls for one of those deliberate, "not so fast" approaches. Just like you do not microwave a BBQ, you cannot hurry into a negotiation like this. My good friend Jim Camp - one of the premier names in the world of multi-billion dollar negotiations, says that there is a whole lot more going on than meets the eye. In such negotiations, there are a lot of stakeholders, and a complex orchestration of outcomes is required. There are assessments to be made based on other assessments that, by the way, change depending upon the first assessment. You get the point - there are these cat and mouse games of deceptions and one-upmanship to be played that create artificial deliberations among a lot of people so that the crosscurrents can be managed. It is a lot like an orchestra. All people have to play their parts for good music to emerge. Yet faces have to be saved in the event of adverse outcomes. Negotiating such rough terrains is difficult and the ignorant can form ill advised opinions. Many Op-Ed's malign Obama for his seemingly poor judgment, when in fact, the game has just started. It is actually poor judgment on the part of these journalists who are only looking to score points at the expense of important international negotiations. What they do not get is that smart negotiators do not worry about pride. They worry about outcomes. They are focused and do not compromise. Obama has been brilliant in getting Putin in a box, Assad in a bind, and he is keeping his options to strike open. Likewise, right now it seems the administration is setting the stage for negotiations with Iran. It is going to be a long and difficult road mainly because Iranian factions need to settle down and they can once they see that we are willing to invest in the process. But, as Jim says, we do not have to give up anything, but we do have to play the game and watch as the other party placates the hard liners at home and charms the rest of the world with possibilities. Armchair commentators do not make negotiators. Negotiators make negotiators. How to negotiate is a skill to be learnt and mastered by leaders in business and politics and we hope that not too many of them are "Bulldozer Class" negotiators like Bush-Cheney or "ignorant class" ones who know little about negotiations yet write a lot about it. Why look for a faster bus to your destination when you can take a flight. In the same way, the book above is the ultimate in personal development and growth. It does not matter if you are looking to improve your sales or your leadership, or even you life at home, a book like this can transform your trajectory like nothing else will. Besides my doctoral training in empiricism and modern psychology, I am deeply influenced by the ancient wisdom of the Vedanta or its better known cousin - The Bhagavad Gita. On the surface at least the two influences seem diametrically opposing, which gives me a special perspective that is also augmented by my extensive background in entrepreneurship and leadership roles in business, sales, and marketing. Here I share my view of the world with a tinge of the "VedantaFactor" every now and then. This will offer a constant reminder of that perspective and might encourage the reader to study my favorite book - The Vedanta Treatise. My conversations with business leaders of the world also explore them with the VedantaFactor in mind. It is evident to me that those who have the "VendantaFactor" do better than others. At the very core is the concept of choice making and actions. Anybody can make good choices when the evidence is compelling and when one is not conflicted. Unfortunately we are almost always conflicted because we want to have our cake and eat it too. As such, it seems the key to leadership and success would lay in fixing that problem first. Because the one thing that separates the wheat from the chaff are the choices we make. It is a shame that still we are not teaching "Self Management" in our schools (unless we include Peter Drucker's writing later in his life on self management as a means for better business management). Finally, as says my teacher - You can't manage anything if you can't manage yourself, as such we know where to start: Click on the book below and initiate the change. highly successful CEO Show and brings highly focused topics in every issue that Entrepreneurs and Executive can readily benefit from in managing growth.